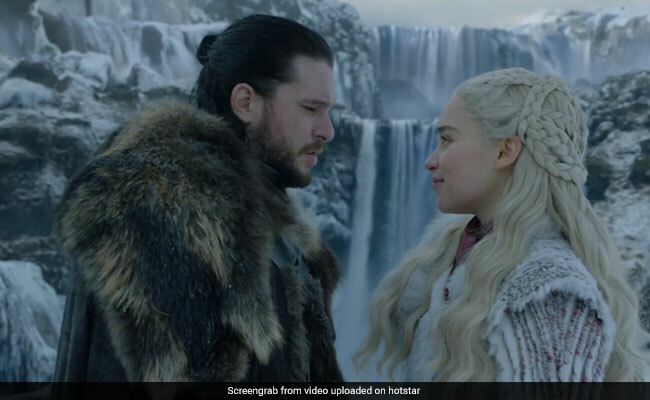 Game Of Thrones 8: Dany, Jon, a couple dragons and a waterfall in Winterfell. What's more romantic than that? Game Of Thrones returned Sunday night after a nearly two-year hiatus, but it wasn't the murderous spectacle the show's bloodthirsty fans long awaited. Aside from a few (read: 21 or so) deaths and a child turning into a White Walker, the episode was filled with some rather lighthearted reunions and Bran Stark/the Three-Eyed Raven/lost member of the Cure creepily staring at people. These crazy kids kick off their date with a conversation that might have been lifted right out of 10 Things I Hate About You. If you watched this scene and couldn't help but scratch your head, wondering if you forgot how Game Of Thrones works, you were not alone. People were not happy, given that there are only five episodes left and precious screen time was wasted on . . . this. It's like the Dorne disaster all over again.